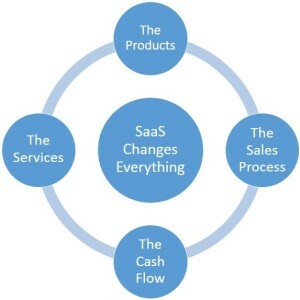 SaaS fundamentally changes the products, services and relationships between SaaS vendors and their customers. Likewise, SaaS changes the role and value added by the SaaS channel partner. Channel partners will need to work differently and more strategically than in the past. And SaaS vendors and their channel partners must now work together to create a win-win environment. The percent of software sold through the channel is much smaller with SaaS than traditional on-premises software. According to Software University, 35-45 percent of revenue comes from the channel, as contrasted with 60-70 percent of on-premises software. Only 23 percent of B2B SaaS vendors have SaaS channel programs. By contrast, 80 percent of on-premises software vendors have channel programs. There is no need for a channel partner for basic fulfillment, installation and upgrades— functions often performed by VARs. Basic configurations are done by the customer of a SaaS vendor rather than requiring a channel partner. Most SaaS companies are young, and they don’t usually initiate channel programs until their direct sales approaches are fully developed. They just “haven’t gotten around to” building a channel program. Most new SaaS companies have fewer international sales where the use of channel partners is more prevalent. Channels are a valuable and underutilized component of the SaaS ecosystem. SaaS vendors can use VARs and System Integrators to continue their torrid growth reaching new customers and providing services beyond their capabilities. SaaS VARs and System Integrators have opportunities to expand into new clients with new SaaS offerings and new services developed around these SaaS offerings. SaaS provides an opening to prospects previously content staying with their status quo on-premises systems. SaaS impacts everyone creating, selling or using software and changes the expectations of software consumers. It simplifies, commoditizes, democratizes and accelerates the use of software. SaaS commoditizes basic IT functions that were once expensive and makes them accessible at a lower cost. For example, website analytics used to be expensive, have been commoditized and are now free. Functions such as advanced predictive analytics used to be accessible only to the largest communities. SaaS companies such as Predixion Software have democratized these capabilities, making them available to firms of all sizes. In virtually all cases, SaaS simplifies the implementation and reduces the implementation time and amount of training needed. By making advanced capabilities available at a lower cost, the SaaS market greatly expands. There are a lot more moving pieces in today’s world than in the past, which provides an opportunity for channels. The total IT expenditures with SaaS are generally higher since while equivalent capabilities may be less costly than for on-premises software, more advanced capabilities are provided as part of the implementation increasing the overall IT spend. New capabilities such as mobile, advanced analytics and business intelligence, and collaborative capabilities provide additional revenue opportunities for the channel partner. SaaS now dominates the CRM market. Medical software applications swung rapidly from being nearly exclusively on-premises to dominantly SaaS. Markets once believed “safe” for on-premises solutions are shifting to SaaS in new deployments. SaaS had the greatest early penetration in SMBs but now is rapidly moving into larger organizations, once a bastion of on-premises software. The base-level functions needed by an organization in areas such as ERP and CRM consume a much lower portion of the budget while shifting resources to new capabilities in social, collaboration, mobile, data visualization and Big Data analytics. Channel partners experience larger opportunities in enabling customers to use advanced capabilities. The key to a SaaS channel partner’s success is to become the trusted resource to bring new SaaS capabilities to clients while helping transform customers to use them most effectively. Customers have heightened expectations of SaaS offerings, which vendors and channel partners must deliver. New SaaS applications are mobile enabled, collaborative and use sophisticated analytics to offer more value. Customers now must adapt to much greater compliance, security and privacy requirements not likely met by their existing software. Applications are less likely to be “standalone” but require integration with a larger set of applications and data sources to provide the greatest value. SaaS requires channel partners to change the work they perform. Low-value functions, order taking, fulfillment, installations and upgrades are gone. High-value roles, a strategic advisor, a business-transformation enabler and an integrator of many sophisticated components are the new channel focus. These differences change the channel role in sales, implementation and professional services. The days of standalone applications are gone. A primary role of the channel is to provide a broader set of capabilities and make them work together. This forces the change in the DNA of many VARS and their staff. “SaaS is unlocking opportunities in companies you couldn’t get into before,” says Carolee Gearhart, Adaptive Insights VP global channels & business. There is less commitment to a SaaS subscription than a software purchase so the process needs to be more efficient since the revenue covers the sales costs over the life of the SaaS subscription. Compresses or eliminates the lengthy RFP process of software purchases. Replaces POCs with free trials. Eliminates companies buying more software than they need while they grow. Recognizes the customer is much more educated about the offering before the first sales contact. Channel partners bring real value to the sales process when they introduce their clients to SaaS vendors, play the role of a trusted advisor, integrate multiple products into a single solution and play a major role in the company’s transformation enabled by new SaaS products. VARs and SIs have relationships with clients where they can introduce the products of their SaaS vendor partners. Without these existing customer relationship provided by VARs and System Integrators, the SaaS vendor may not have access to these opportunities. The most dramatic change for channels is the nature and timing of the delivery of professional services. “A cloud implementation can go live in a month. The channel partner can then deliver additional services. 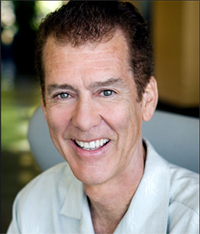 That opens up new opportunities,” observes Marino. SaaS implementations are much quicker. Many reasonably complex SaaS implementations can take a month or two, rather than up to a year or more. Shorter engagements lead to lower billings. Historically, the ratio between the cost of on-premises software versus professional services for large, complex ERP systems was 1:5 to 1:10. With larger B2B SaaS projects the ratio is typically 1:1 to 1:2. Low-value services are eliminated; fulfillment, onboarding and configurations can be done by the customer. Software maintenance and upgrades are the responsibility of the SaaS vendor. SaaS enables the channel partner to perform higher-value tasks (at a higher billing rate). SaaS projects are much more in line with Agile development where new capabilities are continually added. A major tenet of SaaS is continual updates to the latest release with expanded feature sets. SaaS enables channel partners to move from a project-based engagement to a continuous stream of process improvements based on continual delivery of new capabilities. In the on-premises model feature upgrades only happened infrequently — often not for years. SaaS typically adds new capabilities every two to three months (if not more often) each presenting the opportunity to add new value to the customer and additional services for the channel. This facilitates more sustainable, higher-value relationships. A distinguishing characteristic of today’s IT world is the large number of systems that must work together. Some SaaS integrations are reduced by the “suite” concept of NetSuite with pre-integrated applications as well as the AppExchange concept of Salesforce, which uses Salesforce for the integration hub. SaaS-published APIs are much more prevalent, providing “hooks” for channels to integrate multiple SaaS products. Additionally, legacy applications without APIs require professional services to integrate into the customer’s solution. Today people use complex software such as Facebook and mobile devices with no training. SaaS applications are designed to be intuitive and lack the baggage of legacy designs. There is also much more of a focus in customer self-service than contacting the support desk for help. Additionally, with greater integration between systems, there is more commonality in the user experience. A more seamless, intuitive interface among all the systems reduces user training and support. There are tremendous opportunities in embracing SaaS for VARs, but the transformation is also significant. Channel sales personnel may be reluctant to trade a larger up-front commission for a part of the SaaS subscription annuity stream. Low-value software sales (which produce meaningful revenue) must be replaced with higher-value consultative services, which require a higher caliber of staff. Software vendor partners may not have a competitive SaaS offering. This may require adding new vendor partners and potentially alienating existing partners without world-class SaaS offerings. New competencies and products must be added to the channel partner’s skill set. Greater vertical specialization and domain expertise is required. Channels need to reassess their business model including the components and timing of their revenue and services they provide. The cash flow from SaaS subscription revenue is deferred even though the longer value of the SaaS customer is likely larger. A side effect of channels transitioning to SaaS is that it dramatically raises the valuation of their business. A company acquiring a VAR will value it more highly based on a dependable annuity revenue stream generated by SaaS subscriptions. Many SaaS vendors grow rapidly by a combination of low-touch sales methods and a direct sales force. They evolve their sales strategy and want direct contact with their customers to tune their sales and marketing methods and messages. To maintain high initial growth SaaS vendors should begin adding channel partners early to augment sales and services offerings. Channels will be nearly essential when delivering to international markets, where local knowledge, particularly with regulatory issues, is required. Value-added channel partners also can bring new customers not accessible to the SaaS vendor and domain knowledge — both essential for continued growth. SaaS vendors’ strategic use of channels has taken a backseat to the direct sales methods of SaaS pioneers. But SaaS pioneers such as Salesforce, NetSuite and Workday now are rapidly building their channel programs. Newer SaaS companies are adopting the channel particularly to address more complex implementations, bring in specialized vertical domain knowledge, expand into international sales and tap channels’ existing client relationships. Now would be a good time to start building your SaaS channel.